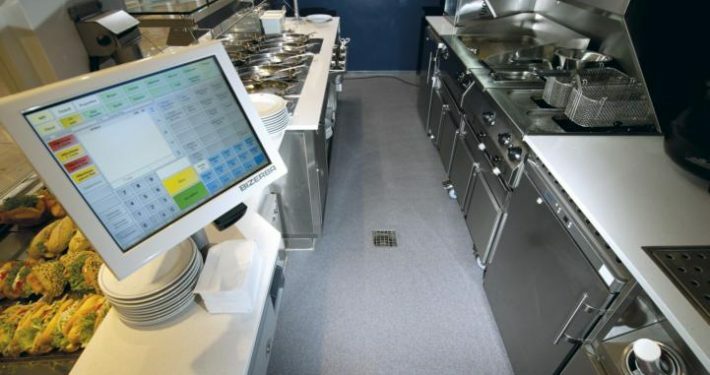 The service offered by hotels, restaurants, canteens and caterers are versatile and demanding. 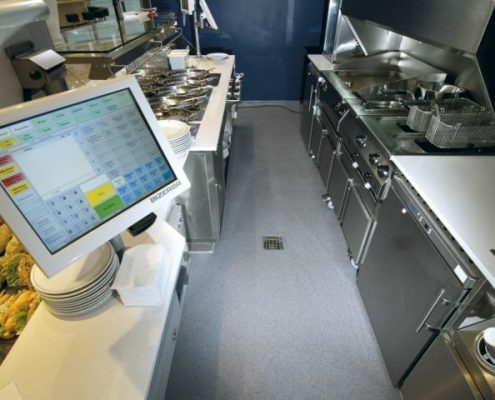 The expectations of a reliable floor covering are equally large. 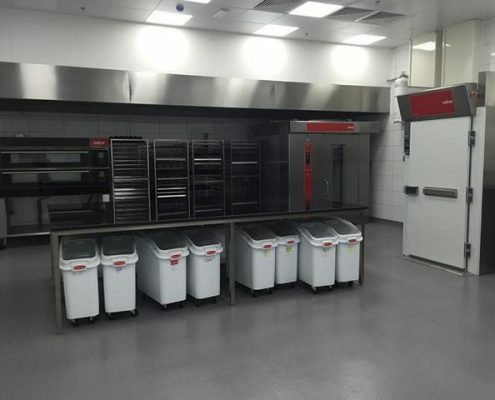 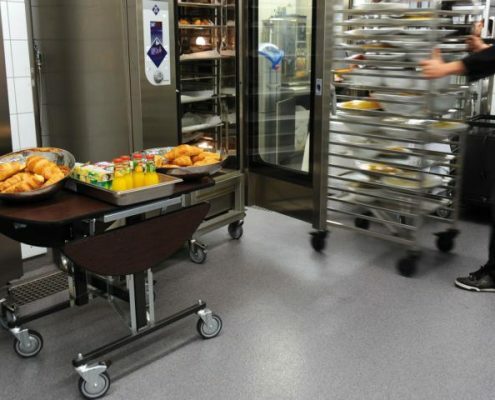 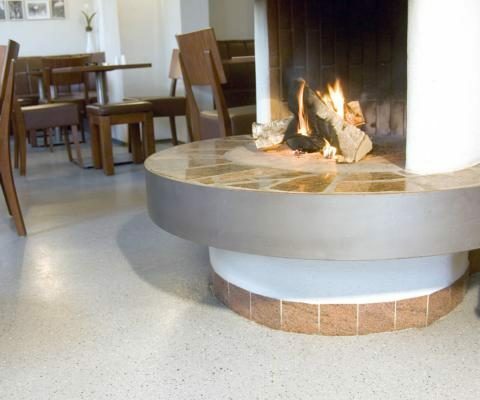 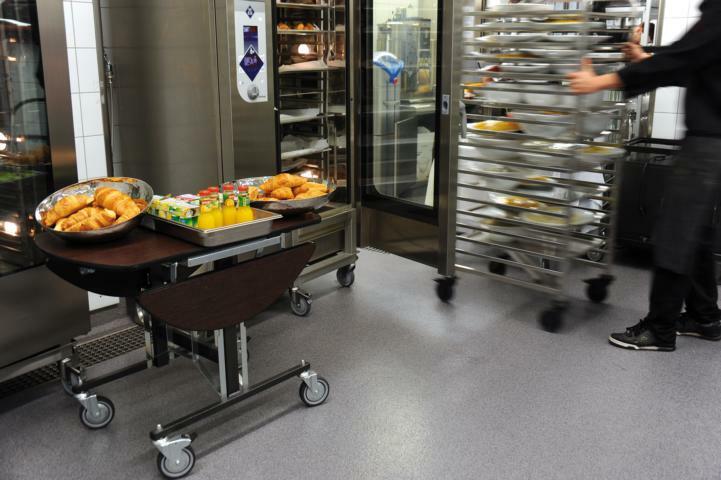 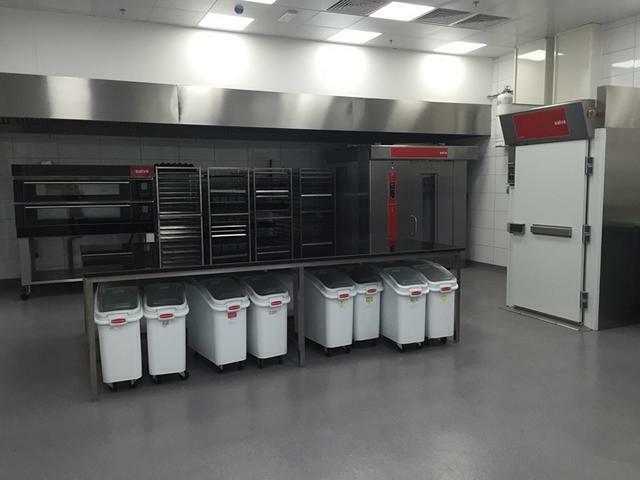 For decades, the reactive resin flooring from Silikal has been offering a welcome solution in kitchens, wash rooms, hallways, cold- storage rooms, cellars and storage areas. 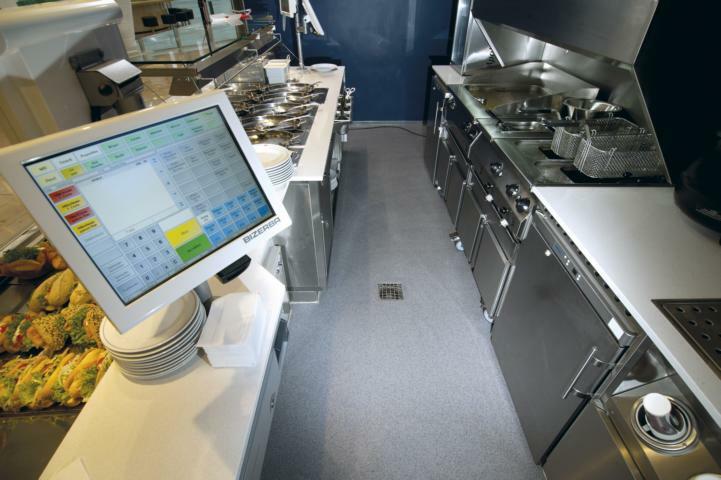 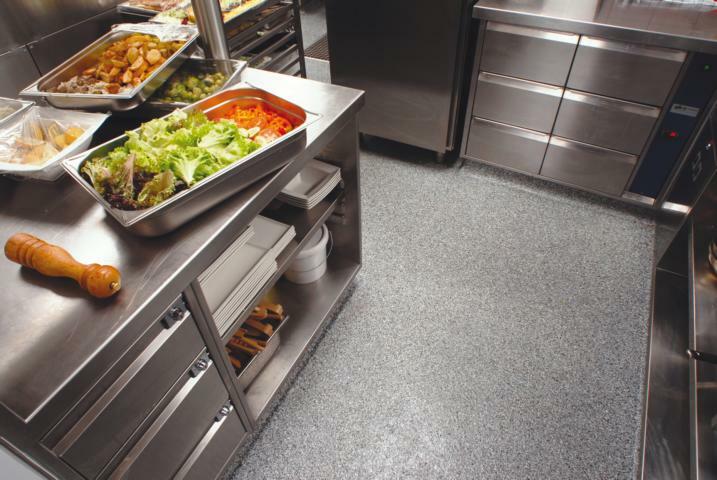 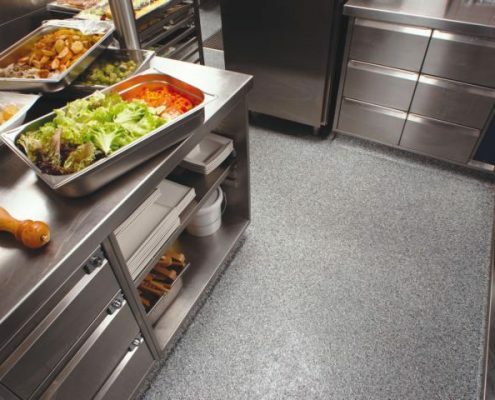 They fulfil the need for hygiene and safety for the kitchen facilities and are outstandingly durable combined with an extremely quick installation. 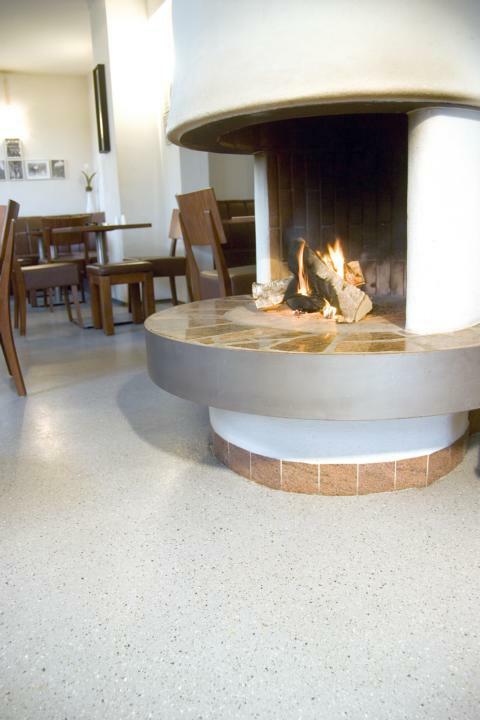 Flooring from Silikal for Lafer’s "Stromburg"
Flooring from Silikal for the "Nordsee"